Where Your Smile is Our Reflection. We appreciate that a trip to a dental clinic can be met with some fear, so we always go the extra mile to ensure your time with us is as stress-free and relaxed as possible. All our staff work hard to put you at ease and help you get the most from your visit to Palmerston Dental Surgery. Call us today on 08 8932 1544 to book an appointment at a time that suits you. Palmerston Dental Surgery is a member of Bupa’s Members First Network, meaning that the fees charged to Bupa members are set by Bupa and consistent across all Members First clinics. 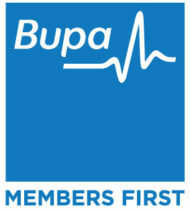 Everything Bupa do is for the health of its customers. Bupa is part of a global family that reinvests its profits to provide better services for our customers. If you would prefer to pay for your treatment over time, Zip payment plans may be the solution that you’re looking for. With Zip, you can choose an option to suit your personal circumstances, including a no deposit option. Ask us how!